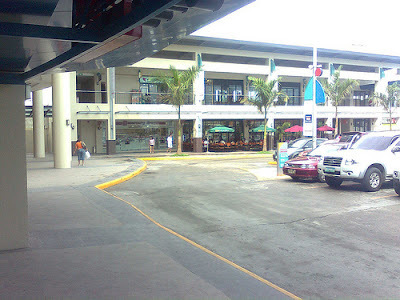 Davao is certainly the place for shopping as it offers a rich variety of the old wares mixed with the new ones. You can go to a local market nearby and find beautiful traditional handicrafts, or to a local mall and find branded imported items, electronics and clothes. 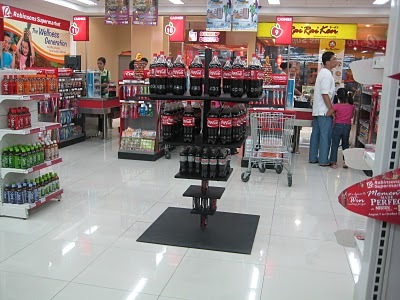 Davao shopping centers offer huge selections of various products. 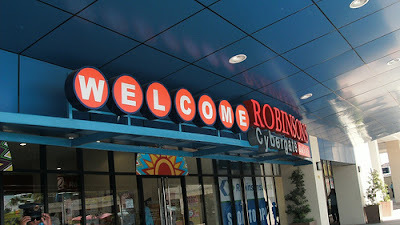 And, the Robinsons Cybergate Davao is a welcome addition to the ever growing shopping centers in the city. Robinsons Cybergate Davao is a 2-storey shopping center that sits on a 10,660 square meter lot along J. P. Laurel Avenue, Lanang, Davao City with a parking space that can accommodate 100 vehicles. While Robinsons Cybergate Davao is small to be considered a mall, it nevertheless houses a number of stores. 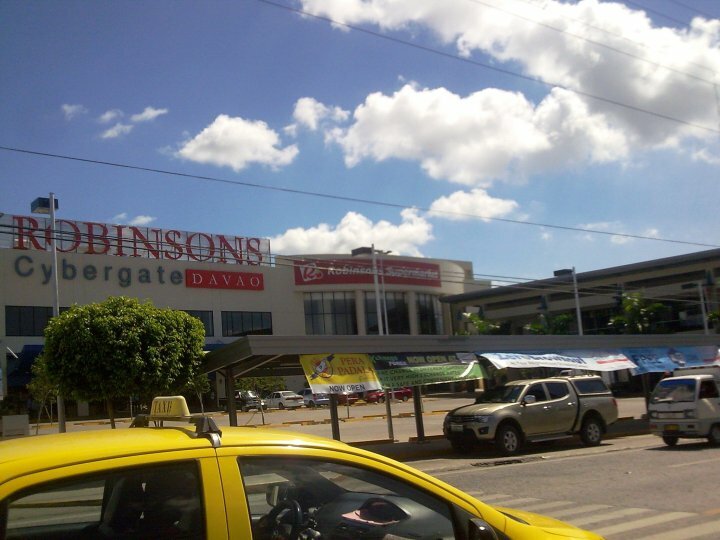 It has a supermarket, a grocery, a drug store, a beauty salon and health spa, cafés, restaurants, food outlets, retail and specialty stores, a BPO facility which is said to be the biggest in Mindanao, medical clinics and other offices. And, because of its small size, families can truly enjoy shopping in a quiet and not so crowded ambiance of the place. Robinsons Cybergate Davao opened its doors to the public in May 8, 2009, and is considered to be Robinsons Land Corporation’s first commercial center in Mindanao of this format and setting. Robinsons Supermarket is one of the two giant retail affiliates of Robinsons Land Corporation, the other is Handyman Do-It-Best, a popular one-stop-shop electrical and hardware store. Robinsons Supermarket is also a very popular grocery store in the country that features a complete range and variety of grocery items under one roof. 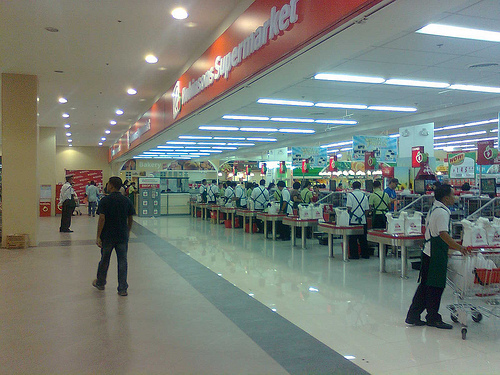 The supermarket's interior is brightly lit which makes shopping easier and more convenient. 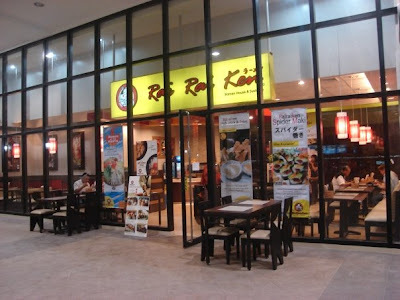 It is located on the ground floor, and is open daily from 10AM to 9PM on weekdays, and 9AM to 9PM on Saturdays and Sundays. 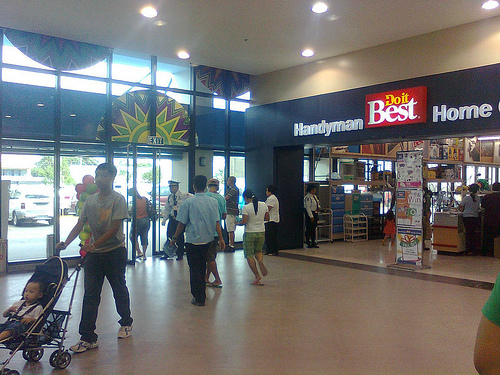 While Robinsons Supermarket and Handyman Do-It-Best are the main features of the center, they are also joined by Robinsons Savings Bank, Rai Rai Ken, Dunkin Donuts, Sun Cellular, and Mercury Drug at the ground floor of the main building. The ground level of the annex building features a wide sidewalk strip of restaurants in an al fresco setting with outdoor tables and chairs. Among these strip are restaurants such as the Bangkok Wok, Mang Inasal, and Tata Benito’s A Whole Latte Love. There is also a small food stand alongside with high tables and chairs. Bangkok Wok serves Thai cuisine in a cool and sophisticated ambiance. While the restaurant may be a little pricey than the regular food fare, the many delectable dishes and flavors of Thailand they serve are worth anyone's penny. 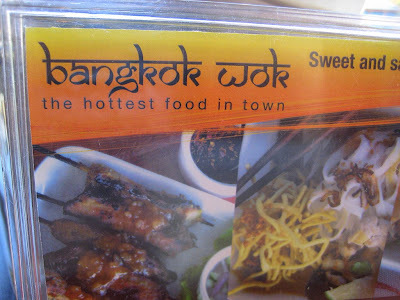 You may visit their website at www.bangkokwok.com for more information. 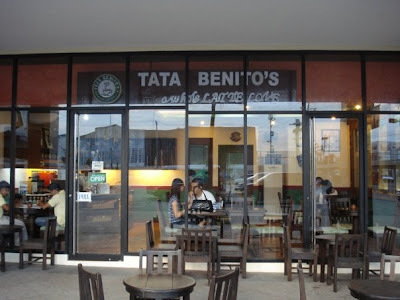 Tata Benito’s A Whole Latte Love is a complete coffee shop that serves regular hot coffee drinks, flavored cappuccino, hot chocolate, cold and iced coffee drinks and blended coffee, and a menu of pasta and sandwiches. They also serve sugar-free drinks, smoothies, hot and iced tea, and Italian soda. 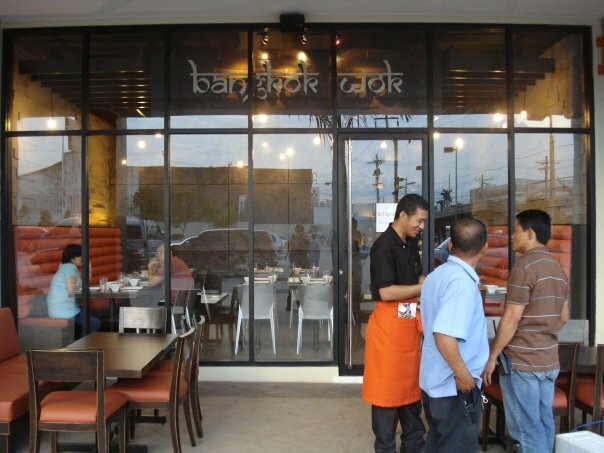 The coffee shop also have drinks especially prepared for kids such as non-coffee steamers that come in Almond Rocca, Raspberry, Strawberry, Hazelnut, Irish Cream, Cioccolata, Vanilla flavors and the house specialty, the 'Cookies N Cream Caffioco'. 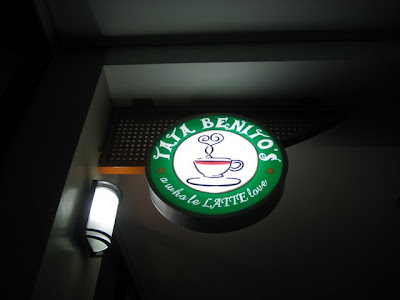 Tata Benito’s A Whole Latte Love is open daily. 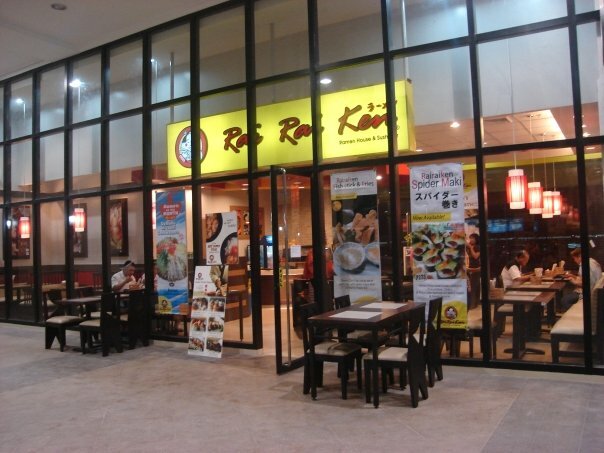 The second level is occupied by specialty shops and personal services such as Perfect Image, CD-R-King, H2O Hair Salon and Spa and Skin Doctors. BPO office spaces that are PEZA-accredited with 24/7 utility provisions and redundant power capacities are also located at the second floor. 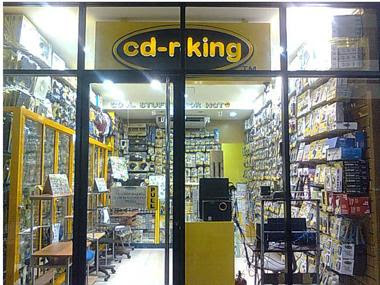 Napadaan na ako dito, but haven't really gotten inside! Hi lzlpio90, if you have anything that you want me to feature in this blog, please do let me know. 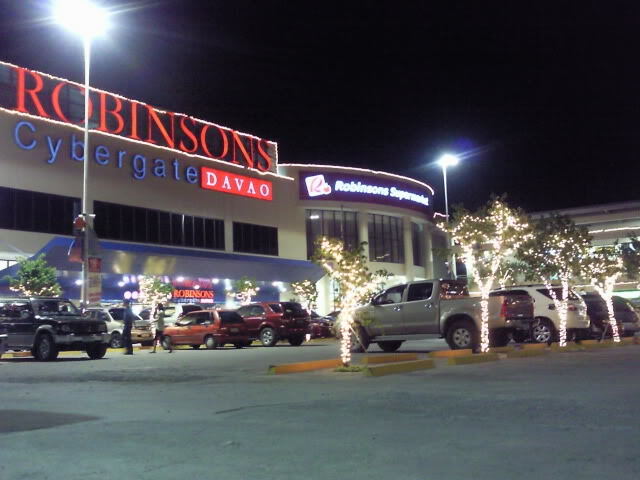 There are still a lot of interesting places in Davao City which I would be featuring in my future blogs. Nice blog sir. 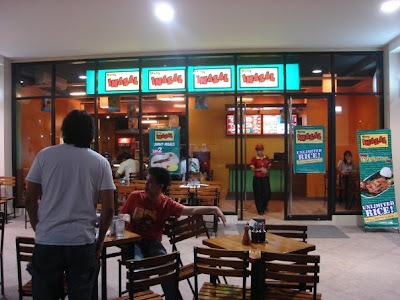 I'm a davaoeno but now based in manila. 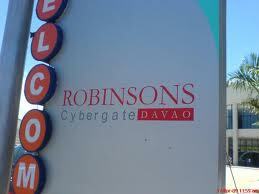 haven't been to rob's cybergate so i really appreciate you updating us of what's new in Davao. btw, with what adjustment company are you currently employed in? i was with Henry Hunter Bayne Davao in 1998-2001. Hi Bongskie09, it is so great to chance upon a fellow adjuster particularly from Henry Hunter Bayne, with which my late father served for so many fruitfull years. In fact, my father, Atty. Jaime L. Battad, Sr., was once the Branch Manager of HHB-Davao back in the 1950s. He resigned from HHB in 1972, his last post therefrom being Executive Vice President, and set-up his own on the same year, the now long defunct CBGS Adjusters, Inc. where I also served in the same capacity as a multi-line adjuster. I was hired by Esteban Adjuster & Valuers, Inc. of Manila and headed our Davao branch office, concurrently as its Regional Manager for Mindanao in 1997 until my resignation in 2000. I have since retired and went back to Manila but I am hoping to take up residence again in Davao in the not too distant future. 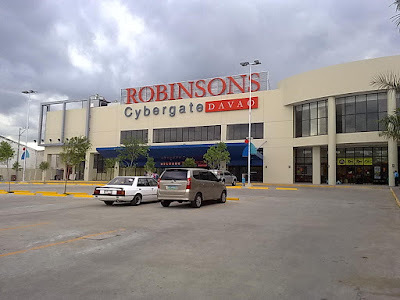 While I mostly rely now with my friends from Davao on updates there, I will be more than happy to update you with fresh posts on Robinson Cybergate as you requested. I am glad to saw your blog and I really appreciated what you did. Malls are not just for shopping and it evolved into places where you can enjoy a variety of activities. Moreover, malls are economic symbols of a city. Thanks for this information about the Robinsons Cybergate Davao. 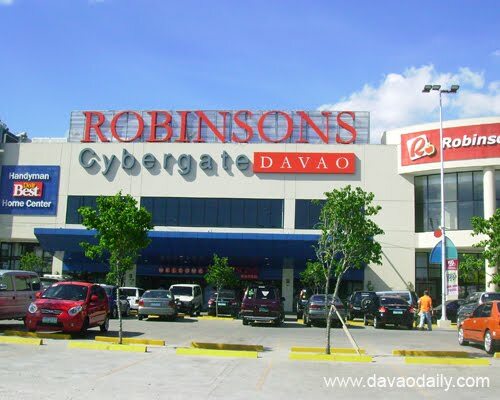 Hopefully I will visit this entire Robinson mall in Davao someday.